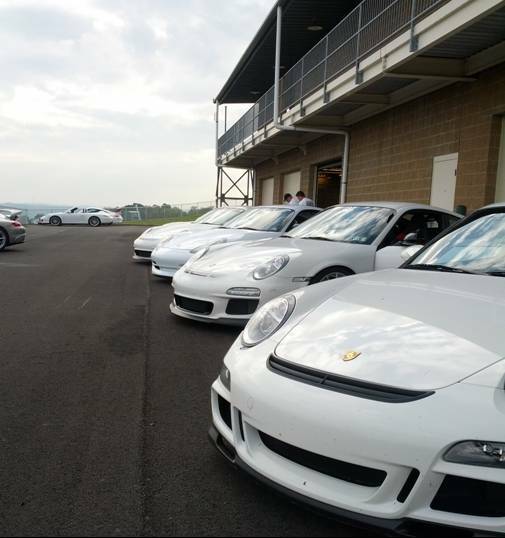 Based on the information people provide when they first became a member of the Allegheny Region Porsche Club, there is a great interest in attending driver education events. A driver’s education is a method for you to learn what it means to drive your Porsche in a high-performance manner. It allows you to learn the basic skills needed to drive fast safely, and to learn your car’s response and feedback to your driving input with a skilled instructor familiar with your type of vehicle and at a pace with which you feel comfortable. Driver education events are held at any one of a number of road race tracks; in the “local” area there is Nelsons Ledges (near Warren, OH), Mid-Ohio (near Mansfield, Ohio), and Watkins Glen (near Corning, NY). 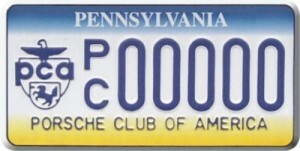 ARPCA considers PittRace, near Wampum, PA our hometown track. PittRace has spent millions upgrading the paddock facilities and has double the track length in 2015 and repaved the North Track for 2017. What Happens at a DE? All types of cars run. ARPCA’s DEs are broken up into 4 run groups, with about 15-25 drivers per group (depending on the track size). Each driver is assigned an instructor for the weekend, who is typically a person with several years experience in driving the track and has knowledge in the characteristics of the driver’s particular vehicle (a 911 does not handle the same as a 944, for example, and the driving approach is somewhat different). Each group will typically get three to four driving sessions on the track per day (school typically is a two day, Saturday/Sunday event), each session lasting about 20-30 minutes. The driver is assigned an instructor who helps the student learn the various corners, straights, and track features. The instructor points out where to position the car at the entrance, middle, and exit of each turn. The instructor will describe at what point you should start braking, when to stop braking and start applying the gas, and when to “floor it”. The student drives at his (or her) own pace, and will start driving faster ONLY when comfortable AND your instructor is confident of the student’s ability to do so safely. These events are DEFINITELY not races or racing schools; there is no official lap time kept. You do not have to worry about someone cutting you off going into or exiting a corner, since no passing is allowed except on a DESIGNATED straightaway (identified at the start of the driving session). Even then, if a car wants to pass someone, it MUST wait until the driver being passed DELIBERATELY provides a point-by to allow the pass. In addition to the on-track instruction, most organizers of track events (including Allegheny Region) also provide classroom sessions to enhance your education in high performance driving. These sessions get into more detail on safety and high performance driving techniques than is possible in the car at speed on the track. Other than basic maintenance and inspection there is nothing special you have to do to your car. Any make of car with factory installed roll-over protection is allowed. (Modified open cars such as Convertibles and Cabriolets are REQUIRED to have a roll bar installed for driver and passenger protection). Targas must run with the roof panels in place, and sunroofs on Coupes must be closed. Note: newer cars with automatic pop-up roll bars are allowed! There are items that are required to be done before you get onto the track. First, you are required to perform a safety inspection of your vehicle. This should be a check of tire condition, adequate brake pad thickness, fresh brake fluid (should be almost clear; a complete brake flushing and bleeding is highly recommended) and assurance that the suspension has no unusual play. An inspection form telling you what you or your mechanic need to check is sent out before the event so that you can come prepared. A spot check is made at the track; flunk the inspection and you will not be allowed on the track. The second item is to ensure you have a racing helmet with a 2010 or newer SNELL rating (note: there are two ratings applied to helmets SNELL SA, or “Special Applications” rating; to be differentiated between a SNELL “M” or “Motorcycle” Rating. You should look for the SA rating). If you are shopping at the local discount department store for a helmet, forget it. They are usually available only at high-performance mail order houses or race specialty shops. If you are coming to your first event, you can usually borrow or share one with someone else; if you expect problems let someone on the DE Committee know and they will try to help. Beyond that, the only clothing requirement is long sleeve cotton shirt, long cotton pants, and leather or canvas shoes (key thing is NO SYNTHETICS). Your best source of information for notices on upcoming drivers events is this website, then the Rundschau; The Track and Event Chairs organizer can also answer your questions. 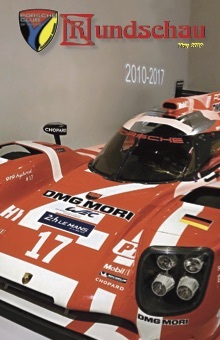 Panorama has a large listing of all of the Porsche Club driving events. Your local Allegheny Region sponsors drivers events at PittRace, Watkins Glen and Mid-Ohio at least once a year. Besides Allegheny Region, Mid-Ohio and Northern Ohio Regions have been sponsoring events at Nelsons Ledges and Mid-Ohio for years, and always put on a first-class school. You probably won’t go wrong with any school put on by a Porsche Club region.